On October 2, 2018, more than 2500 ASHA and USHA (community health) workers from 17 districts reached the Madhya Pradesh Chief Minister's doorstep in Bhopal to bring to his notice their long standing demand of their rights. The police detained hundreds of ASHA & USHA workers, drove them around Bhopal in police vans, and most were later dropped off at the railway station. However, not all have safely reached home. We have been in constant touch with Laxmi Kaurav, an ASHA Sahyogini, and a VV Community Correspondent. Laxmi who came to check on her injured colleague (at Hamidiya Hospital) was unofficially detained in the hospital premise and was not allowed to leave for the next four days. She had to spent her nights sleeping in a chair in the hospital waiting room under strict vigilance of male police personnel stationed there in uniform and in plain clothes. There were also two women officers present. They identified themselves as representatives of the CID. Braving these odds, she sent us audio and video recordings of how she was being treated. Click for videos HERE and HERE. The police did not give her any clear reason as to why she wasn't allowed to leave the premises. 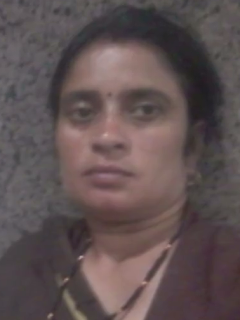 "I want the world to know how they treat hard-working and poor health workers who demand for their rights", says Laxmi. At the police station they were all asked to sign on a blank paper by the police and threatened with violence if they didn't comply. After hours of arguing and standing up against this illegality Laxmi and her friends signed something that appears to be a bail-bond. No one is clear about the content of this paper because the women were not given a copy of it nor were they allowed to read it! Laxmi later learnt that a case has been filed against her and five others. Though the local media covered these incidents (click HERE and HERE), the coverage by national media is negligible. We are therefore writing this to inform you of this troubling case that is still unfolding and to appeal for your solidarity and help. Very urgently, we need legal advice and support. Do write to info@videovolunteers.org if you can help.